I want to be like a Gospel-song. So this afternoon I was on a wonderful two hour break between Japanese learning and English teaching. 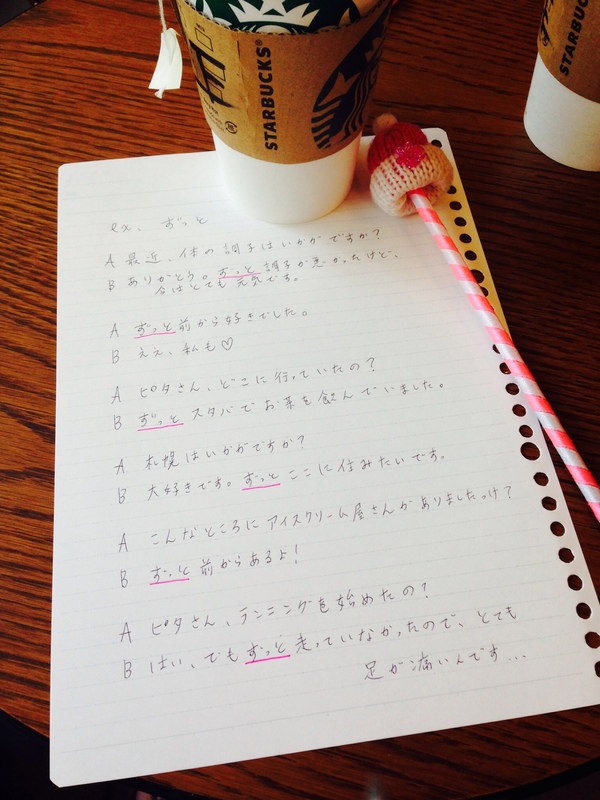 Me and a friend were about to begin a bit of a Japanese study session (because we are quite frankly, that cool…) and I had just walked the 3 minutes to my local Starbucks to get myself equipped with suitable caffeine for the forthcoming learning. On my short walk to スタバ, I was listening to my iTunes playlist on random. And a Kirk Franklin song came on. Now, I don't know if you listen to Kirk Franklin (if you don't… You really, totally should…), but there's something about his music, and I guess Gospel music in general, that is just so…. Happy. I know, that's a super lame descriptive word, but I can't think of a better one. I wasn't in a bad mood or anything. I was actually having a really good day. But as I walked to Starbucks, 'Our God is an Awesome God' blaring in my ears, I just felt super joyful. I actually wanted to sing out loud. Or dance down the street. Or skip. Or something joyfully-outrageous-in-praise-of-God. But I couldn't deny the happiness. And you know what my very simple prayer was in the moments that followed? I was thinking that I want to be someone who genuinely brings that kind of joy to the people around me… Not because of me, or because of anything I do in and of myself, but because I'm a person radiating Holy Spirit in every step I take and every word I speak. Don't get me wrong, that's not the same as living for the praise of man. I truly believe that we are called to live lives that are before an audience of One, and it's His eyes of fire that burn brightest… And sometimes that is hard and unpopular. But yet, I also believe that there should be something different in me, because Holy Spirit lives in me. And so, I want to encourage when other voices discourage. And I long to speak truth in a world of lies. And I long to dance a beautiful dance down streets that are so often filled with sadness. And I want to love people into the truth that He really satisfies. I pray that Jesus gives me boundless resources and bucket-loads of His love always. I want my presence to have the impact of a Kirk Franklin song. And so my thoughts tonight are simple. But they are genuine. I am deeply in love with Jesus, because He was first deeply in love with me… And it's that reality that means I believe we can love others with a realness that is different and more beautiful than that which the world offers. Because there's true healing in His Name. Pray for my Japanese abilities.